Romanian training ship Mircea made a southbound passage. She will be used to train German naval cadets until German training ship Gorch Fock is repaired. 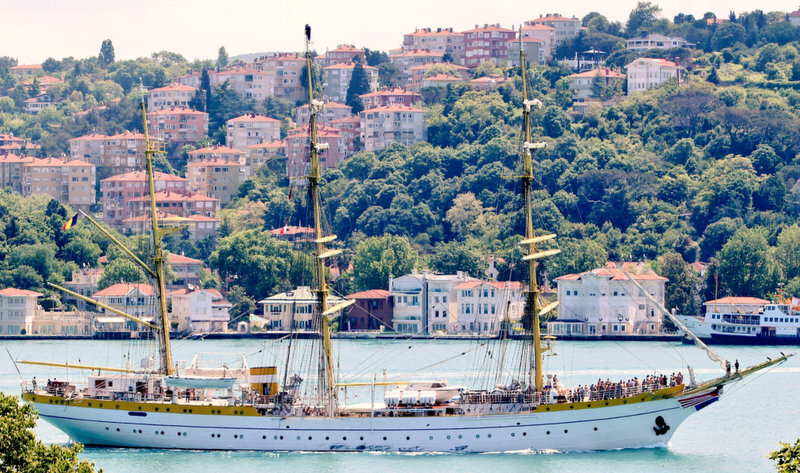 Mircea and Gorch Fock are sisters. Photo: Yörük Işık. 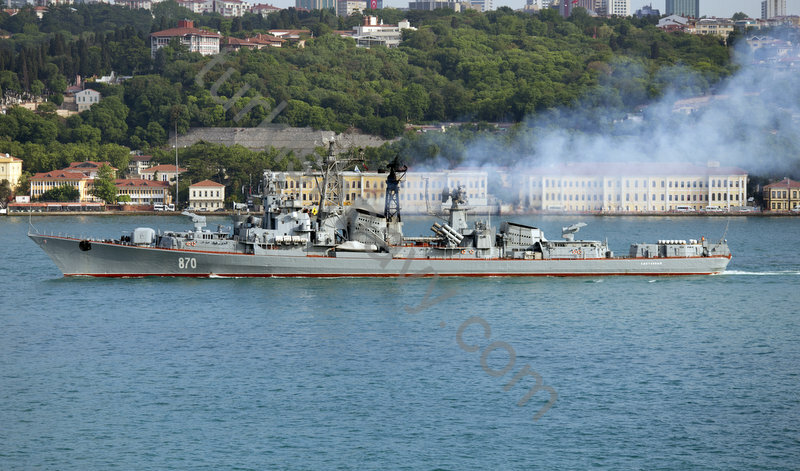 The sole Kashin class destroyer of Russian Black Sea Fleet, Smetlivy made a southbound passage through Istanbul. MORE FOREING SHIPS TRAVELED IN THE BOSPHORUS CHANNEL.